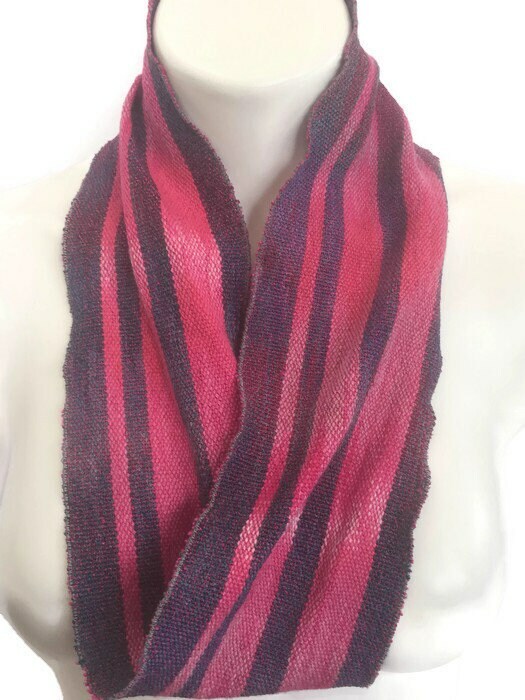 I made this skinny infinity scarf from fabric that was handwoven by me using two of my hand-dyed warps. The colors are pale pink, light pink, hot pink, dark pink, maroon, and blue. 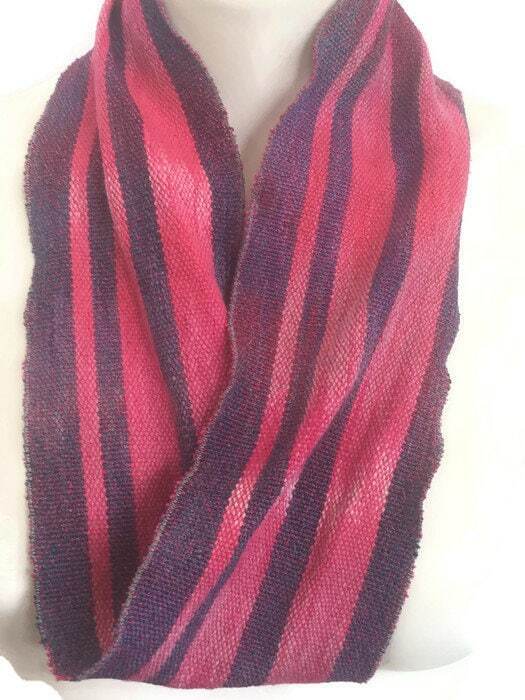 The fibers are cotton and rayon. 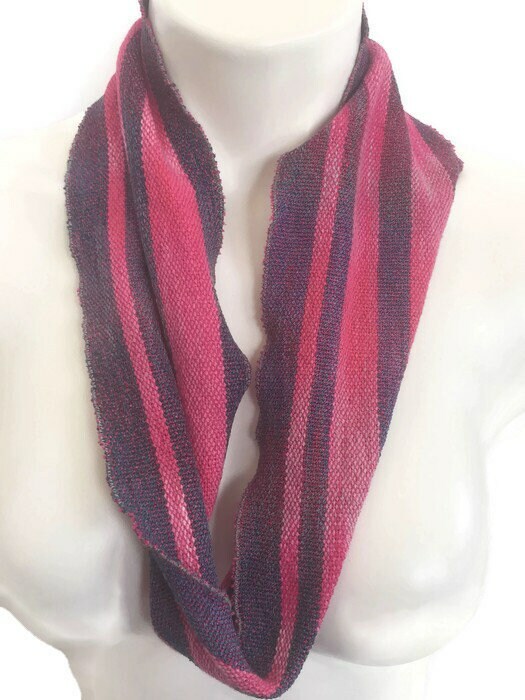 This scarf is soft and lightweight and has some body to hold its shape some. 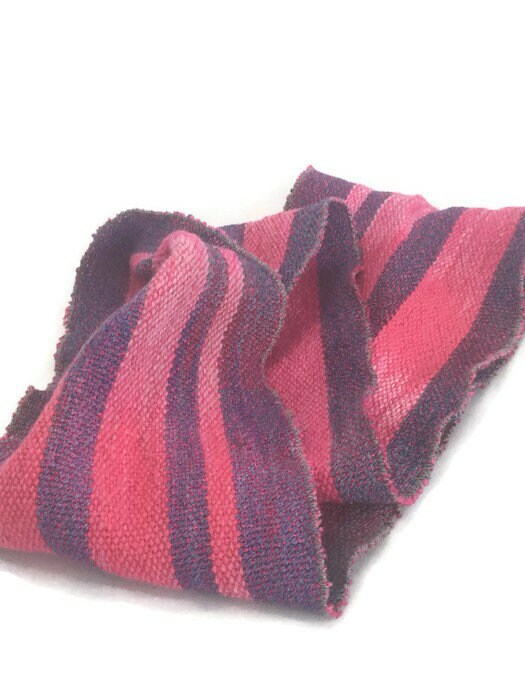 Measures approximately 4 1/2" wide and 34" around. Edges have been machine stitched with a tight zigzag to prevent fraying and gives a slight ruffled appearance. Hand wash in cold water with a mild detergent. Dry flat or hang to dry. Steam or iron as needed. 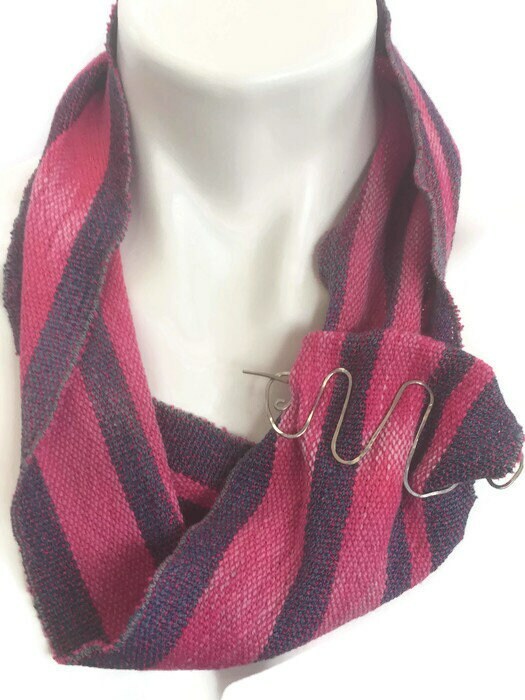 This listing is for the scarf only. The pin is not included.